Calcium is one of the nutrients that Segterra scientists have identified as playing a very important role in your physical well-being. In essence, it’s a mineral that your body needs to build and maintain strong bones and teeth. To maintain health, men and women aged 19-50 need 1000 mg of calcium each day; women over 50 and men over 70 need 1200 mg per day. Click here to learn how InsideTracker can recommend calcium-rich foods that will fit your unique taste preferences and physical needs! However, the bad news is that many people—both men and women—fail to meet their recommended dietary intake of calcium. In fact, some studies show that 90% of women and 70% of men don’t consume the recommended daily allowance of calcium. This is especially problematic for women, who are at a greater risk for bone-related disorders like osteoporosis. Almost all of the calcium in your body is stored in your bones and teeth. Bones are living and growing calcified connective tissues that form the major part of your skeleton. Calcium is an important part of the “bone mineralization” process, which helps to give your skeleton its structure and strength. In bone mineralization, small amounts of calcium are removed from and replaced in the bones. If the body doesn’t receive enough calcium through diet or supplementation, the bones become weaker and we are subject to a greater risk of breaks and fractures because more calcium is removed than replaced. If you’re an athlete and participate in such high-impact sports as gymnastics, having low levels of calcium can make you even more susceptible to bone stress fractures. In addition to protecting our bones, calcium plays an important role in other physical functions, such as muscle contraction, nerve conduction, regulation of enzyme activity, and the formation of cell membranes. Maintaining proper amounts of calcium can also help prevent high blood pressure. Chronic low calcium intake isn’t pretty. Bones and teeth begin to slowly deteriorate because your body is using its calcium stores to perform other functions, such as muscle contraction and forming new cell membranes. Poor blood clotting can also result. The problem that is most often associated with inadequate calcium is osteoporosis. Osteoporosis literally means “porous bones”, which is the process of having your bones weakening as you age. Low calcium intake is a huge problem for post-menopausal women, who are already at a larger risk for developing bone-related disorders as estrogen production falls rapidly after menopause. In fact, an estimated 10 million Americans, which includes 8 million women and 2 million men, have osteoporosis. How do you know if you’re getting a healthy amount of calcium? Your body will definitely let you know if you’re not getting enough calcium. If you’ve been experiencing muscle pain, spasm, numbness in your extremities, or frequent fractures, you might want to get your calcium levels checked. The InsideTracker Fitness and Fitness Plus plans test blood calcium levels so you won’t be left guessing about what’s going on in your body. If your calcium intake is low, InsideTracker will give you some recommendations about how to increase the amount of calcium in your diet, and introduce you to some new foods that will help you do that. You could also ask your doctor about taking a supplement, but be careful about taking too much. 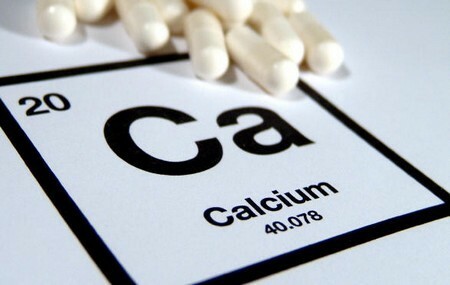 If you frequently take more than 3,000 mg of calcium per day, you could be putting yourself at risk for hypercalcemia, which can result in decreased kidney function and calcification of red blood cells. Symptoms of hypercalcemia can include frequent urination, bone pain, fatigue, and constipation. Essentially, this means that when it comes to calcium intake, more is not necessarily better. In fact, pre-menopausal women who take high amounts of calcium (above 1,100 mg/day) are at an increased risk for hip fractures. What are some good sources of calcium, and how much do you need? Let’s get back to those “Got Milk?” ads. Many of us think that milk is the best source of calcium, but is that really true? It’s true that dairy products are good sources of calcium, but if you’re getting your calcium from butter, cream, or whole milk, you’re also getting plenty of saturated fat along with it. Eating lots of saturated fat can put you at a greater risk for heart disease, so if you enjoy eating dairy, try eating the low-fat varieties of cheese, yogurt, and milk. For anyone who is sensitive to lactose, or prefer to avoid dairy products, there are many other calcium-rich foods available. Many people don’t associate foods like broccoli, kelp, almonds, quinoa, okra, and tofu with having high amounts of calcium, but not only are they excellent sources of calcium, they’re also low in fat and calories. Incorporating more leafy green vegetables and dried beans and legumes into your diet is an easy and delicious way to help protect your bones. One thing to keep in mind is that oxalic acid, a naturally occurring component found in dark leafy foods, binds to calcium and inhibits its absorption by the body. So, if you’re taking a calcium supplement or are trying to increase your consumption of calcium-rich foods, try to limit your intake of foods such as spinach, parsley, and rhubarb. Conversely, taking a vitamin D supplement with food can increase the bioavailability of calcium in the body about six-fold—meaning that vitamin D can facilitate your body’s ability to absorb calcium. In fact, studies have shown that athletes older than 60 years who take vitamin D with calcium can improve their strength, physical performance, and reduce the incidence of falls.